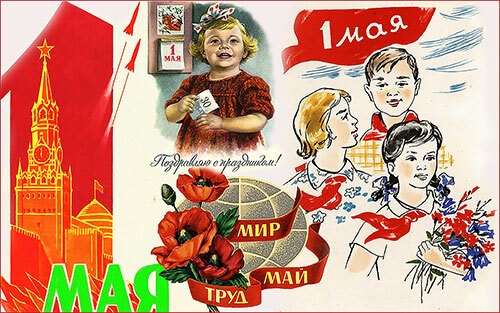 Victory Day (May 9) in the Great Patriotic War (1941-1945). 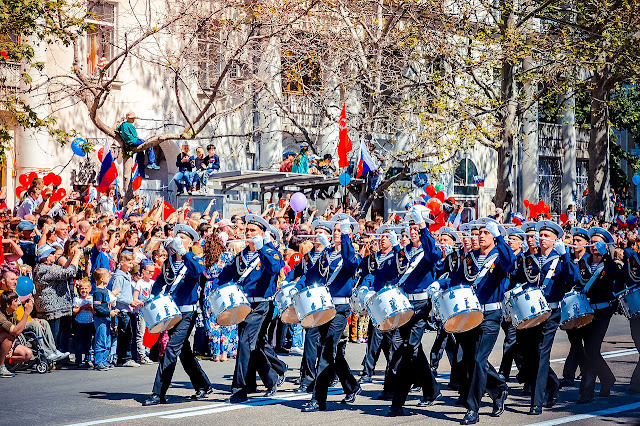 In Russia and in some post-Soviet republics, Victory Day is celebrated on May 9 since 1945. The Act of unconditional surrender of Germany was signed on 8 May at 22 hours 43 minutes (in Moscow it was already May 9 at 0:43). The first military parade on Red Square was held on June 24 in 1945. The next parade took place only 20 years later in 1965 and after it was passed almost every year on May 9 in Hero cities. It is difficult to see the parade on Red Square in real, but rehearsals can be seen a few days before. After the parade, people lay flowers - usually carnations - to the Tomb of the Unknown Soldier (in Moscow), to monuments of glory and military valor, to memorials. Everyone congratulate veterans, participants of the Great Patriotic War. 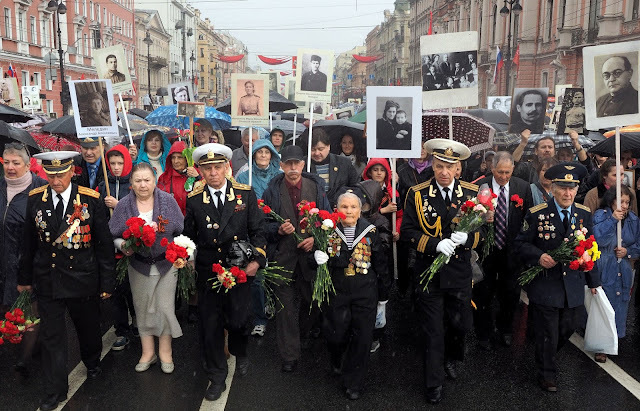 Since 2012, a new tradition (or a new parade)is hold - the action "Immortal Regiment", in which people carry portraits of their relatives, grandfathers and great-grandfathers. Another important symbol is the St. George ribbon. A few days before the holiday the symbol is given to eneryone on the streets of cities not only in Russia, but all over the world. 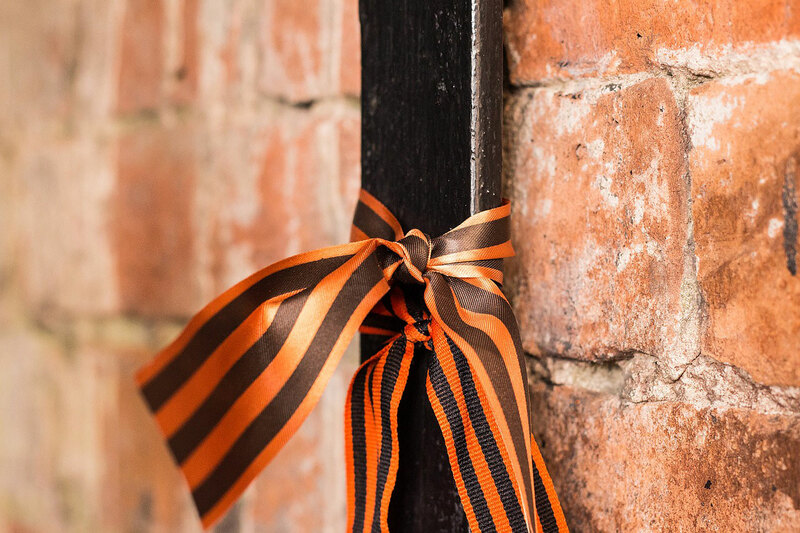 There is one more tradition - a Minute of Silence at 7 pm (TV and radio broadcast) - a tribute to the memory of those who perished during the Great Patriotic War. Before a moment of silence, the announcer reads military verses and remembers the dead in the war. The day ends with a festive salute (fireworks) at 22 o'clock.